The Belgian Little League Baseball Championships 2017 are this weekend in Mortsel (Antwerp). 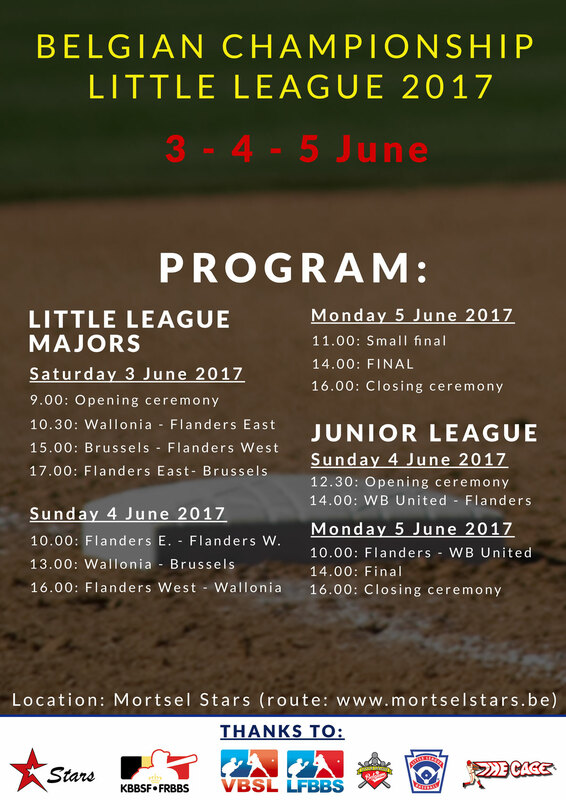 From Saturday June 3rd till Monday June 5th, all the matches of the Belgian Championships Little League 2017 will be played at the Royal Mortsel Stars Baseball fields. This weekend the strongest youth teams of the 4 Belgian LL Charters will participate: Flanders East, Flanders West, Brussels and Wallonia. 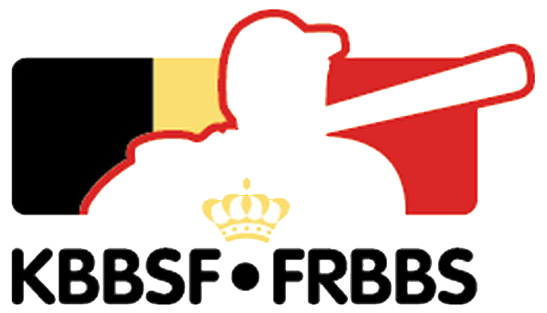 All Little League Majors Teams (boys and girls from 11-12 years) as well as the LL Juniors Teams (13-14 year olds) will compete in tournament form to become Belgian Champion in their League. A big challenge for the organization as well to create this great and fun Tournament. All youth, parents and fans are invited to come and watch our cool sports and see our Little League stars in action. 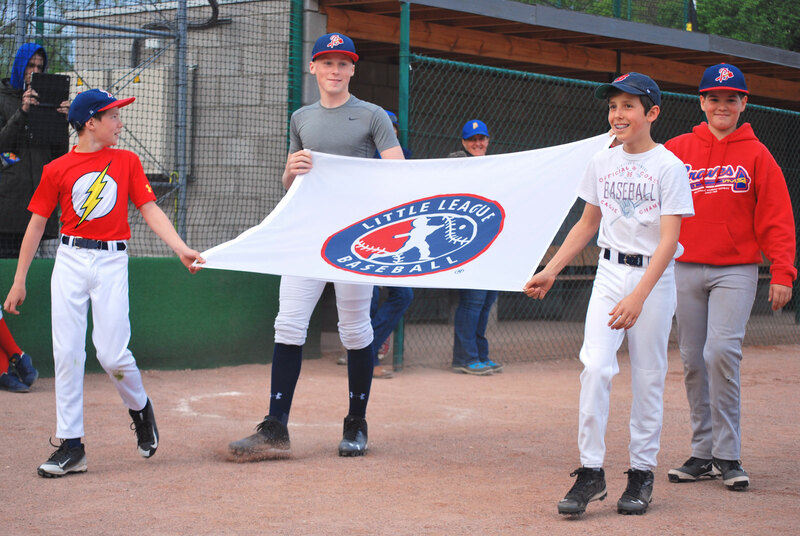 The Belgian Little League Championships start at 9:00 on Saturday 3rd of June with an official "Olympic-style" opening ceremony. On Pentecost Monday, the final matches will be played and followed by an official prize ceremony and closing ceremony. The winning teams, the Belgian Champions, will go on to play at the European Championships LL this summer (in e.g. Poland, Czech Republic or Italy). The overall EC winners will eventually join the Little League World Series in the U.S.A. So there is a lot to play for and the playing level of the Belgian Teams will have to be high!